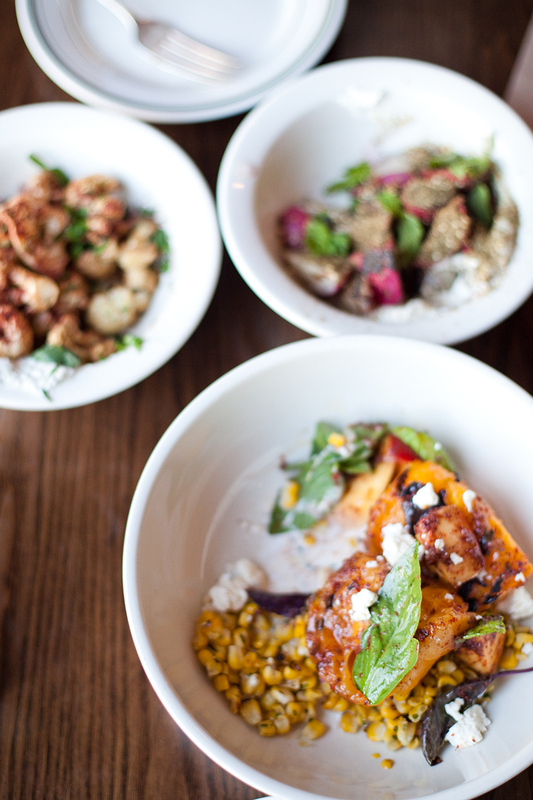 Grilled tomato, peaches, sweet corn, yogurt, and Thai basil. 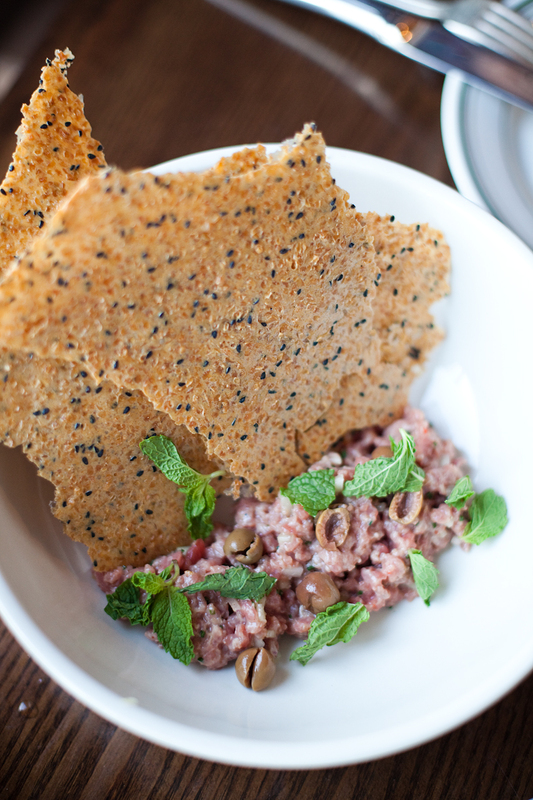 Lamb tartare, olives and bulghur crackers. 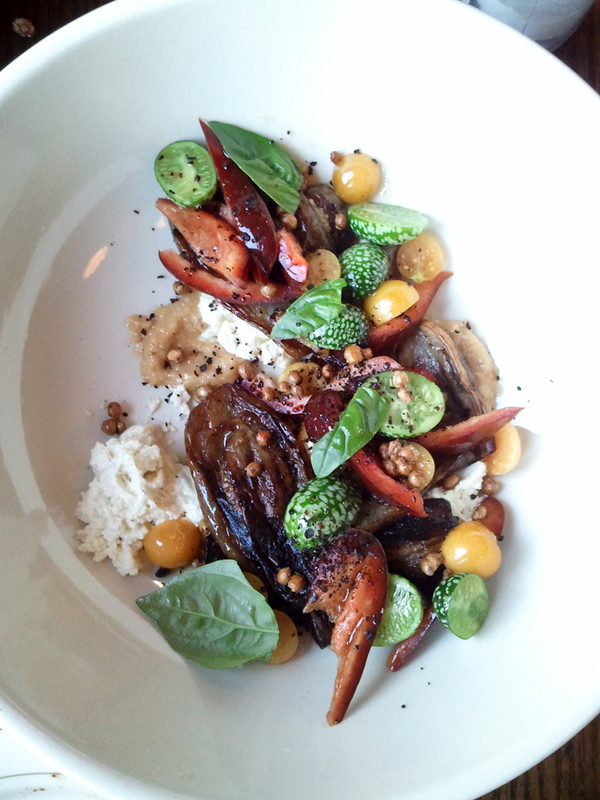 Eggplant, chevre, Mexican gherkin, ground cherries and pine nuts. 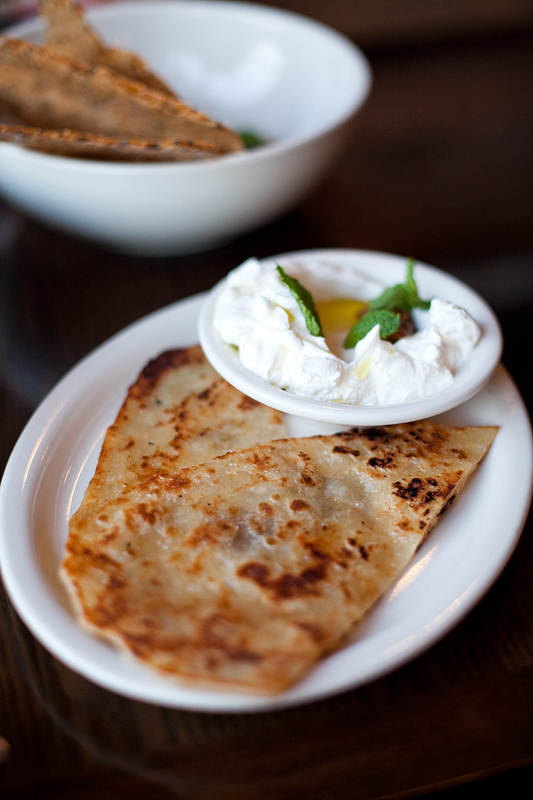 Flaky bread with labneh, a must! 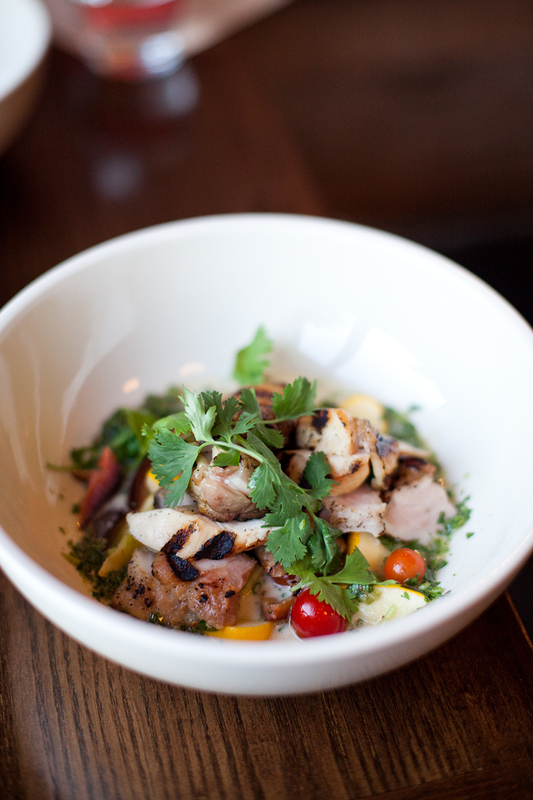 Chicken with almond milk, summer squash and cilantro. I ended up using a spoon for this because the combination of the chicken and squash and milk tasted really really good together. If you’re going to ask me where you should eat today, tomorrow, next month…this year, I will tell you here….at Glasserie. – Glasserie 95 Commercial St. Greenpoint.